Maybe the aliens are already here. 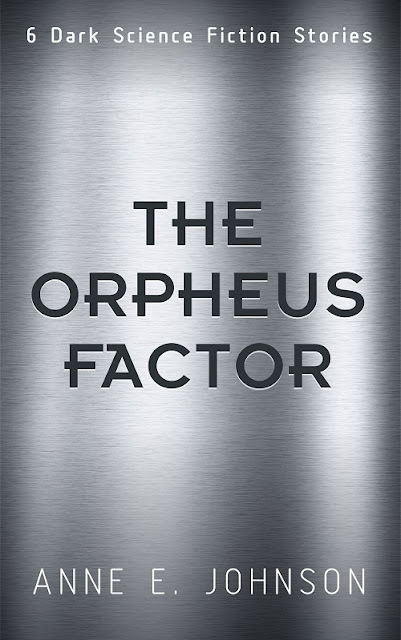 These six works of short science fiction by award-winning author Anne E. Johnson range from Earth-bound cyberpunk to a space-opera retelling of an ancient Greek myth. All-in-all, the collection will leave you ... unsettled. May I just say how much I love the term "archaeofiction," which I learned from this essay by J.S. Dunn? This author is all about research and historical fiction, two other things I love. Bending The Boyne, set in ancient Eire at 2200 BCE, emulates Jean Auel’s carefully researched series 21st century archaeology and reveals a compelling story of change. 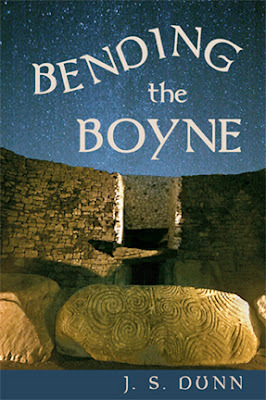 Bending The Boyne is the first novel of Bronze Age Ireland to explore what might well have happened underlying the mythology. It can be read as archaeofiction, a tale of a largely forgotten culture. in 'prehistory'. This work has no druid/esses, no time travel, no leprechauns; in short, no fantasy elements. What could possibly inspire a first-time author to spend ten years researching and writing such a work? The answer lies in western Europe’s oldest mythology and its largest concentration of prehistoric rock art. The Boyne mounds, older than the pyramids and Stonehenge, fell out of use around the end of the third millennium BCE as did megaliths along much of the north Atlantic coasts, from the Pyrenees in northern Spain, to Brittany, and into the Isles. The great passage mounds and their carved rocks are now acknowledged to be intricately engineered observatories for movements of sun, moon, and constellations. So what happened? To show the cultural clash between astronomy-loving natives and the metal-using newcomers proved no small task. Academics don't agree on all issues but gradually the pattern emerged, that the Beaker People of ca. 2200 BCE disrupted the native culture wherever they arrived. Fortunately, the author enjoyed reading numerous archaeology, archaeogenetics, and astonomy volumes and journals. RyanAir's cheap fares facilitated travel from Ireland, where the author had a country stone house, to the coasts of Wales, Orkney, Brittany, and Spain. Boann’s impassioned struggle to hold on to her people’s astronomy and their values forms the central conflict, when marauders with long bronze knives seek to plunder the Boyne for gold. Boann is associated with the river Boyne and with the white river in the sky, the Milky Way. She appears briefly in the earliest myths and then she literally disappears. Her son Aengus is strongly associated with the passage mound now called Newgrange, his origin a prehistoric version of Who’s Your Daddy? The myths are not clear on just who is his father. It is clear that Boann is the mother of Aengus. In this novel, she is also an apprentice learning her people’s astronomy. She faces the choice of duty as against personal desires. Boann’s lover Cian, another sketchy figure from the earliest mythology, is banished overseas. From there he figures out how to help Boann and his people survive the incoming warriors in a profound way. The discord surrounding Aengus’ paternity haunts him into adulthood and leads to the shocking result when Aengus finally confronts Elcmar, the invader who married Boann for his own purposes. Aengus knows that “all of time is made up of night and day.” He intends to hold onto the Boyne forever, newcomers or not. Truth is stranger than fiction. Even today, winter solstice sunrise warms the inner chamber after more than 4,000 years. So it is that Aengus, the young son of Boann, returns at solstice to shine upon Eire. The Bru na Boinn complex in Ireland is now a UN World Heritage site that has tens of thousands of visitors annually. Perhaps the builders knew this structure could last forever. The hidden gold of Eire is not metal, it is the myths themselves and the rich heritage of Irish literature from the likes of Yeats, Synge, Joyce, Flann O’Brien, and others. The astute reader will catch echoes of these in Bending The Boyne. One last thing, about the precise location of gold in Ireland: that is still a secret. Circa 2200 BCE: Changes rocking the Continent reach Eire with the dawning Bronze Age when marauders invade seeking copper and gold. 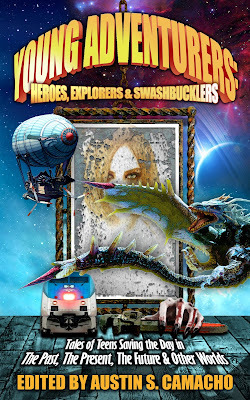 The astronomer Boann and her lover the enigmatic Cian need all their wits and courage to save their people and their great Boyne mounds, as long bronze knives challenge the peaceful native starwatchers. Banished to far coasts, Cian discovers how to outwit the invaders at their own game. Tensions on Eire between new and old cultures and between Boann, Elcmar, and her son Aengus, ultimately explode. What emerges from the rubble of battle are the legends of Ireland’s beginnings in a totally new light. This story appeals to fans of solid historical fiction, myth and fantasy, archaeo-astronomy, and Bronze Age Europe. Bending The Boyne received first place, historical fiction, 2011 Next Generation Awards. Follow the Bending the Boyne Facebook Page. Purchase Bending the Boyne on Amazon. You know what makes a great holiday gift for a teen? Intrigue Publishing presents YOUNG ADVENTURERS: Heroes, Explorers & Swashbucklers, a collection of exciting YA stories in a variety of genres. I'm delighted to say that my science fiction story, "Toori's Constellation," is included in these pages. Find it on Amazon, BN, and other major online retailers. Enjoy!